The Maine Warden Service is investigating a boating accident that occurred late in July 2015 on Thompson Lake in Otisfield. The two-boat collision is believed to have injured eight people, including two children. A nine-year-old boy had to be airlifted to Maine Medical Center because of his critical injuries. The other child suffered broken bones and multiple contusions, but is expected to fully recover. So far, at least six of the eight individuals injured have been released from the hospital. If you or a loved one has been injured in a boating accident in Lewiston, Portland, Bangor or elsewhere in the state, it’s in your best interests to contact a Maine accident attorney promptly. You may be able to file a lawsuit to recover compensation for your losses, and to hold responsible parties accountable for their misconduct so that future accidents may be avoided. The Maine Warden Service stopped short of calling the boating accident a hit-and-run, but did note that one of the boats failed to stop after the crash. Witnesses said that one of the boats, operated by Ken Bartow, was cruising along the shore. Bartow’s passengers were two children, at least one of whom was his grandson. For unknown reasons, the boat collided with another boat operated by Matthew Nolan. Nolan’s boat had six passengers and one individual water skiing behind the boat. Initial reports indicated that seven people were injured in the boating accident, an estimate that was later upped to eight. The spokesperson for the Maine Warden Service said that the investigation is ongoing, the cause of the collision is not yet known, and criminal charges may be possible, but not definite. If you or a loved one has been injured in a boat accident in Maine, you may be entitled to money damages for your losses. Remember that evidence is best collected shortly after the crash. Your personal injury lawyer will evaluate whether the other party may have been at fault by operating a boat under the influence of alcohol or drugs. Other possible causes of boating accidents include using excessive speed, failing to pay attention while operating the boat, and operating a boat in dangerous conditions – such as poor visibility. If the other party did violate boating rules or otherwise behave in a reckless manner, a boating accident lawsuit may allow you to secure compensation for medical expenses, property damage, and other losses. 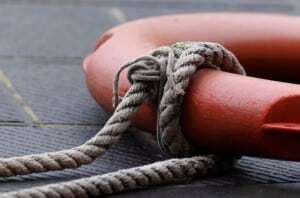 Injured in a boat accident in Maine? Due to the unique issues that may arise with boating accident lawsuits in Maine, it’s essential to hire a lawyer with experience in this area. The veteran attorneys at Hardy, Wolf & Downing have been defending the legal rights of accident victims for nearly 40 years. A personal injury lawyer at our firm will meet with you during your free initial consultation to review your case and discuss the merits of filing a lawsuit. Contact Hardy, Wolf & Downing at 1-800-INJURED and let us know how we can help you.